I decided to take in a Friday matinee of Straight Outta Compton last week because my writing week was (mostly) complete, my wife was at work and my daughter at school. Plus, it’s really hot here in Petaluma, California and I wanted to get out of the house. Going to the movies for fun or hell, even for work is a pleasurable escape and I cherish it. Also, I’ve really been looking forward to Straight Outta Compton but my week’s viewings are usually reserved for films that need to be reviewed. The stars aligned for a cheap matinee time slot and off I went. As I approached the theater to look for a parking spot, I pulled up to a 4-way intersection and stopped. A man to my left entered the crosswalk, his face was sun beaten, he wore tattered, dirty sweat pants and a polo shirt that had a stain on it and a baseball cap of some kind was slightly askew on his head. He didn’t look “right” as he kind of teetered into the street and as he did, I made eye contact with him as a way to let him know I saw him and had no plans to run him over. At that point, we locked eyes and he angrily raised his pointer finger to me and kept it raised as he crossed the street, his eyes never leaving mine as they squinted at me sitting in my car. I sighed but didn’t feel particularly threatened by him. Yet. As I made my way into the theater and got a soda I saw the same man from the crosswalk enter the theater. “Great,” I mumbled to myself, “I hope he’s not seeing what I’m seeing.” He asked the kid at the counter where the bathroom was and off he went. I’ve been in many screenings over the years where some strange person flipped out over one thing or another but that hasn’t happened in years. Once I saw a guy ask another guy to quit talking on his phone during the movie and the guy talking on the phone slapped the other guy upside the head. Another time while watching Irreversible a guy in a trench coat and fishing cap was sitting in the front row laughing uproariously throughout the film like Robert DeNiro in Cape Fear. These were weird, awkward occurrences and made me uncomfortable but not really scared. But as I made my way to the theater today, I started getting truly freaked out about what this man could conceivably do to an unsuspecting audience in a dark theater. Was he recently evicted from his home after losing his job? Did he just discover his wife was cheating on him? 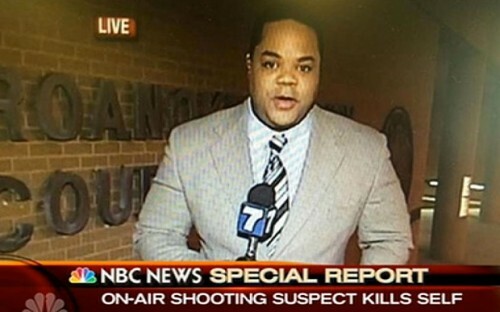 Was he loading a gun in the bathroom right now?? I know I’m preaching to the choir here but we shouldn’t be afraid to watch a movie in a theater. But I was really pretty scared for at least the first 30 minutes of the screening and I never really settled in. Every time the door opened or I heard someone rustling, I got freaked out. The guy behind me got up to use the bathroom and when he came back in I jumped a little and watched him as he looked for his seat. Not only was I wigged out but I also started thinking, what if I was armed and allowed to have a gun in a theater, just for potentially “threatening moments” like this. Obviously there are proponents for arming every American to the teeth to help guard against cowards who decide to murder innocent people in a screening or in any other public place. As if I didn’t already think that idea idiotic, sitting in this theater having a mini-mental breakdown it became even more crystal clear that encouraging the arming of movie goers is among one of the dumbest ideas ever floated by anyone on any side of the political spectrum. It literally makes no sense. For starters, it’s dark in there and you really can’t see who’s who. Having a gun doesn’t grant you the power to see and assess in the dark who may be a threat. You’re a regular person like the rest of us and you won’t be “called into action” until the shooting starts and who’s to say you won’t be the one of the ones who gets shot first? (No, not you gun advocate Drax who is far too quick on the trigger and aware of their surroundings to let that happen. I mean “regular” gun toting people). But worse, using myself as an example, I was already scared. What if I had a gun on me and some guy I thought was this weird guy from earlier shambled in and made a move to his pocket? I might be inclined to draw my weapon, especially if I was being “vigilant” because I saw a suspicious, angry guy outside and then in the lobby and now here he was reaching for something on his person in a dark theater. 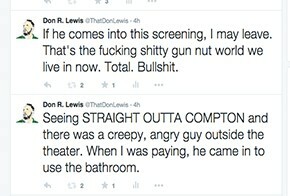 It’s easily conceivable how an innocent person could be shot in a dark theater in the name of vigilance. Allowing anyone who desires it to be armed in public is not going to stop these tragedies from happening. Not everyone should be allowed to legally have a gun. The only way to try and help the now commonplace attacks on innocent lives in movie theaters (and schools, malls, concerts and whereever the next place is) is better and more sensible gun control laws. If we can flag unstable and violent people and report them to places like Child Protective Services because we think they may be harmful to children, we can create a flagging system for angry, potentially malevolent people who should be deeply screened before they can legally have a gun. In order to become a police officer, one must pass a psychological exam, I propose a similar one for gun owners. If people are found with a gun without having been legally allowed to have one, they should be arrested. This is sensible and it has nothing to do with smart, sane, accountable people who are responsible about their guns. This is about people like last week’s Virginia shooter Bryce Williams who had a running list of angry red flags spanning years that should have made it very, very difficult for him to get a gun legally. This is about Rusty Houser, the Layfayette, LA. 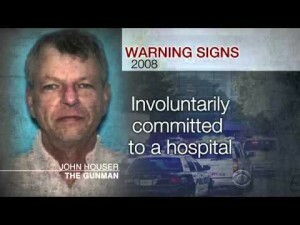 theater shooter who had a history of mental problems and bought his gun legally. This is about James Holmes, the Aurora, CO. theater shooter with a lengthy paper trail of serious mental problems who also bought his gun legally. And to say testing and flagging people won’t help at all isn’t providing an alternative, sensible, achievable plan. How can it not help? These men should have all been flagged and tested and not allowed to legally have a gun. If found with a gun, they should have been arrested. No amount of other armed patrons on the street would have stopped the bloodshed, only sensible gun control laws will. The only way to make gun laws sensible is for both sides to come to a civil agreement. Taking all the guns is not a civil, fair or constitutional solution. Making an attempt to keep them out of the hands of unstable people is just common sense.